Oops, I missed Draw-A-Bird-Day by a day! This month I used watercolours – my first watercolour birds. Initially, I’d thought of painting last month’s Crayola Marker hummingbird, but it felt too daunting and I kept procrastinating. I sketched a few foxes in June and thought of painting those; I mixed some paints and did colour tests for a fox’s red and black fur. 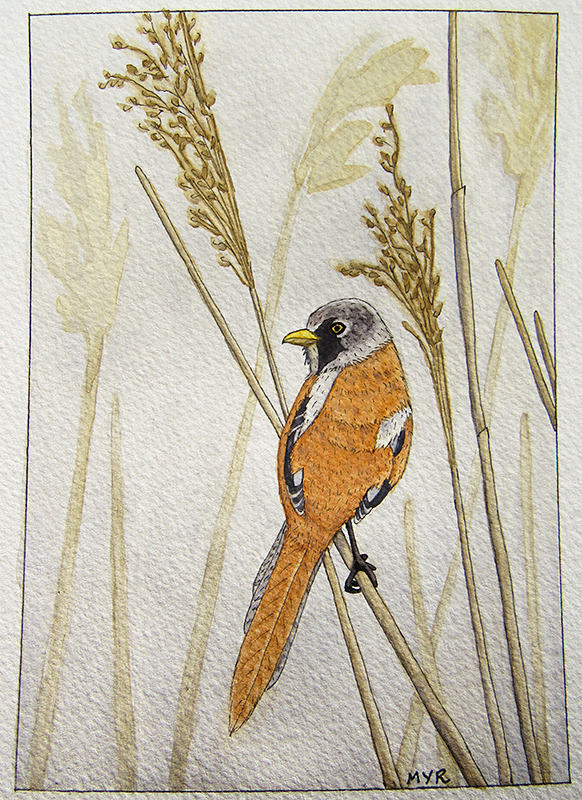 When I came across a photo of a male Bearded Reedling by Frank Brehe at Kombinat Lux, I liked its fox colours. I drew two versions on Canson 140 lb coldpress paper with a black 005 Pigma Micron pen. My paints are Grumbacher Academy tube watercolours. For the first painting, I used a #6 round Taklon brush and a 1/4 inch Taklon flat brush. For the second painting, I bought two new brushes – a #2 faux sable round brush and a #4 red sable round brush. Sable brushes do hold more water than synthetic brushes. July is Watercolour Month thanks to Charlie at Doodlewash. He submitted an application to add a Watercolour Month to the National Day Calendar and his application was selected. Pretty cool! You can find out more about participating in Watercolour Month here. The 8th of every month is also Draw-A-Bird-Day, which is hosted by Laura at Create Art Every Day. Bearded Reedlings live in temperate Europe and Asia, but I did see one male and one female at the Bloedel Conservatory in Vancouver, British Columbia. 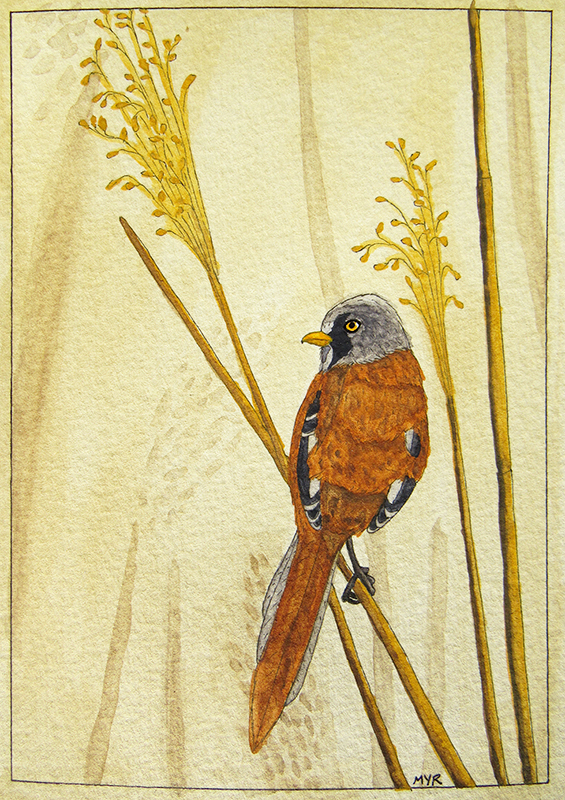 When I drew a male Bearded Reedling last June, photographed by Matthias at Wild Life, Hui at W.H. 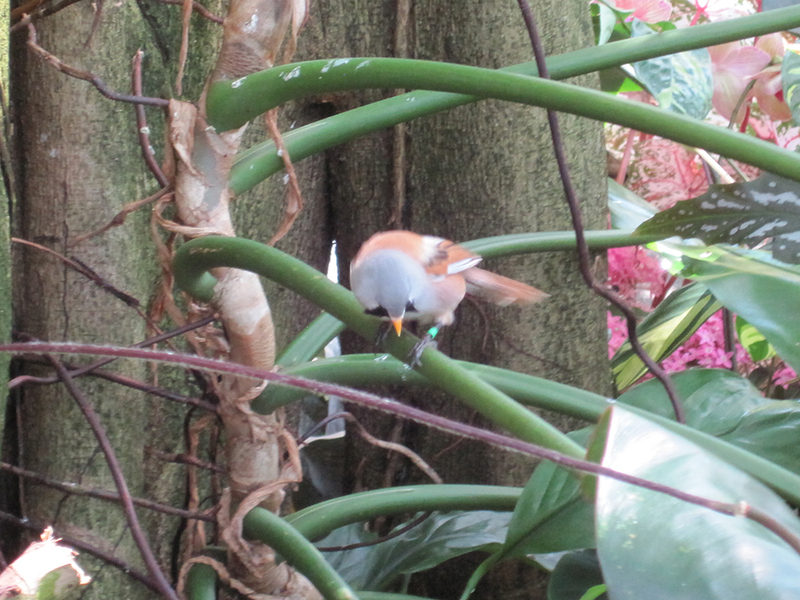 Sim Photography commented that she had seen Bearded Reedlings at the Bloedel Conservatory, so my sister and I went for our first visit in late June. I succeeded in taking two fuzzy photos of the male. 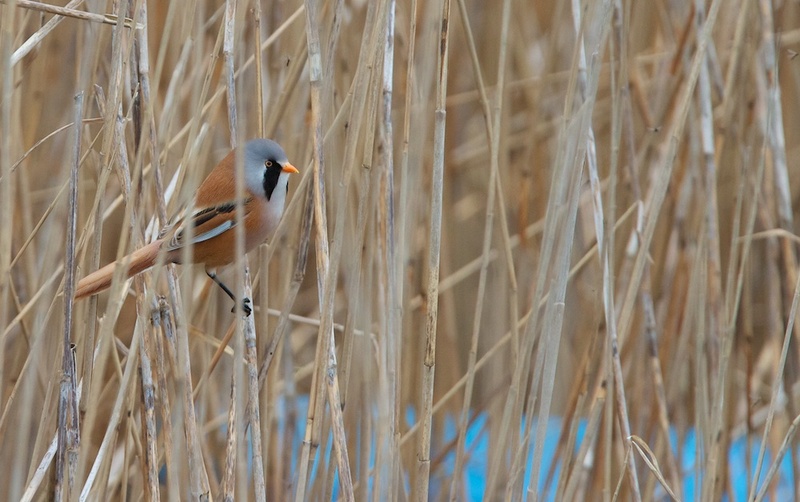 Frank Brehe photographed his Bearded Reedling at Anklamer Stadtbruch, a nature preserve on the Szczecin Lagoon, which is just south of the Baltic Sea coast, in northeastern Germany. 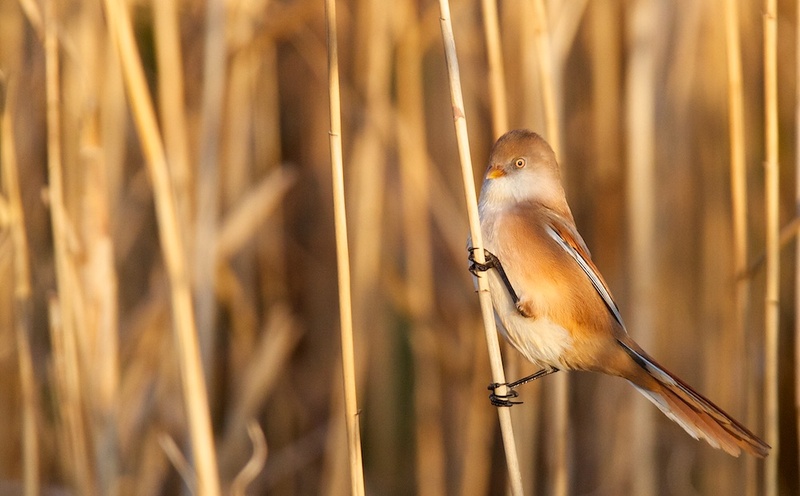 Matthias’ reedling was also photographed in northern Germany, on the Baltic Sea coast. Thanks for the lovely compliment, Hui :-). And thanks again for introducing me to the Bloedel Conservatory. Such a magical place! You always do beautiful work, Myriam, and thanks for the link to my post, will make the roundup so much easier! ❤ So glad you are drawing birds with us! What a beautiful bird, love the watercolor rendition. Thanks very much for your sweet compliment, Sharon :-). You and others made watercolours look so pretty. I was inspired to give them a try. Thanks Kerfe :-). It would be cool to see these birds in their natural habitat some day. Thanks Hanna :-). I was more comfortable with the paint on my second try. These are beautiful! I knew you’d do really well with watercolor. My favorite of the two is your second version. I like the softer tones of color and white paper. I’m looking forward to seeing more watercolor paintings! Gorgeous looking bird, how wonderful you were able to find one to photograph. Your paintings, both, are beautiful, the second one has to my eye an embossing effect from the subtle and delicate shades and shadows. Brilliantly done and a delight to see. Thanks for your lovely words, Haunani :-). One of my favorite eurasian birds :). Thank you for sharing Myriam ! Have a good day Myriam. A wonderful treat to learn more about the bearded reedling, Myriam. Your paintings are delightful. I especially like the second one because the beard is so prominent. Your skill is impressive. Thanks for your kind words, Jet :-). 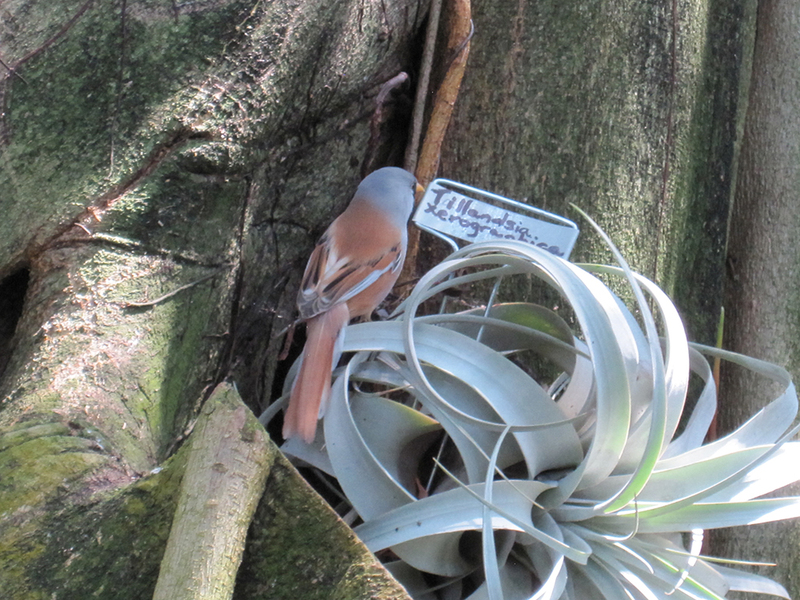 Have you seen a bearded reedling in your many travels? I am and feel like quite a novice with watercolours. It is a beautiful way to add colour to bird drawings, so hopefully, with some practice (and lots of inspiration and tutorials from watercolour artists! ), I will pick up a few more skills. 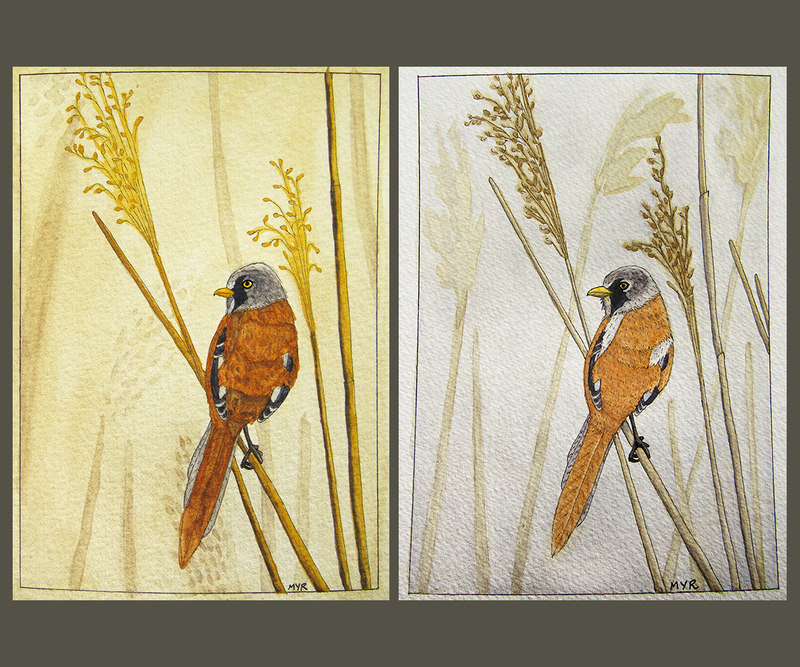 I love how you handled the background in both of these paintings, and your color/texture in the feathers is yummy. Thanks for your lovely comments, Melissa :-). I’ve been trying to give non-white backgrounds to my birds lately and finding that backgrounds are interesting subjects too. Previous Previous post: Frank Lake – A Tern!! !